If you are charged with reckless driving by speed or regular speeding in Virginia, there may be a number of defenses to your case. But there are also common arguments that I hear that are NOT good defenses. Here are a few of the losing defenses to reckless driving. When you’re ready to discuss the facts of your case and what might win, contact me for a free consultation. Like any criminal case, you get to put on a defense when you’re charged with Virginia reckless driving. Sometimes the defenses are pathetic, and sometimes they’re a bit humorous. Generally speaking, a potty break isn’t a valid excuse for breaking the law. You’re expected to abide by the speed limit. If you drive more than 20 miles over the speed limit or over 80 mph, you can be charged with reckless driving in Virginia. There is a criminal defense available if you truly had no choice but to break the law (it’s called “necessity”), but I hardly think the bathroom rises to the appropriate level. Even with this analysis, the lady in question got her charge reduced to “improper driving.” Reckless driving is a 6-DMV-point misdemeanor. Improper driving is a 3-DMV-point traffic infraction. What tilted the balance for this lady? Her speedometer wasn’t calibrated properly. She got it fixed and proved it to the judge. Moral of the story: don’t hang your reckless driving defense on your bladder. You may be surprised to learn that the officer does NOT have to clock everyone who might be speeding near you. He really just has to prove what speed YOU were traveling. I hear that quite often from potential clients. And these are usually folks charged with going 80 to 90 mph. What car won’t go 85 on the interstate? Unless it’s truly a junk heap, it will go when the pedal’s pushed down. More importantly, how could we prove in court that your car won’t get up to the alleged speed? We really can’t. I suppose we could have someone put the gas pedal to the floorboard and see how fast the car would go. But I’d bet the car would get up to the alleged speed. I don’t mean to be crass, but that’s not going to matter. We have a lot of potential arguments and tactics to fight speeding and reckless driving charges, but this isn’t one of them. What does that even mean? Was everyone going 100 miles per hour? Typically not. On Interstate 95 in the Fredericksburg / Spotsylvania / Stafford area, most people aren’t even going 85 mph. Maybe there are some other cars nearby who are traveling in the 80s. And maybe even in the 90s. But there are almost certainly cars who are driving closer to the speed limit. This is a classic excuse of “everyone else was doing it.” That doesn’t work for children, and it doesn’t work for speeding or reckless driving in Virginia. The officer and the judge don’t really care what other people were doing. They care if you were exceeding the speed limit. I Was Driving In A Pack of Cars. No Way It Was Me! Before I was a traffic defense lawyer, I used to think staying in a pack of cars made you safe from the radar gun. I thought that the officer could not get a solid reading on any one car so we would all be immune from getting a ticket. The officer in Virginia simply has to be able to testify that his radar got your vehicle going the alleged speed. Unfortunately, the standards for that can be a little bit lax, depending upon the court you’re in. In some cases, it’s good enough for the officer to testify that there was a pack of vehicles all visually going the same speed and that the speed of the vehicles according to the radar gun was a certain mile per hour. As long as he can testify beyond a reasonable doubt that the vehicles weren’t going different speeds, that could be enough for a judge to find you guilty of speeding or reckless driving by speed. The other thing that makes a pack of cars not a good prevention for tickets is that the officers have what’s called a “fastest” feature on most of the radar units. If they see a group of cars and one vehicle is visually traveling faster than the others, they can hit the “fastest” button on their radar, and it will tell them the speed of the fastest object in the group. That could be used in cases where you’re in a group, but you’re going faster than the rest of the group. Arguably, that does show reliably what your speed was when matched with the officer’s visual observations. Here’s the key: the officer’s evidence in a speeding or reckless driving by speed case is going to be a combination of his visual observation and the readout from his radar or laser gun. Being in a pack of cars does not make you immune from the officer being able to see you and his equipment being able to tell the judge what speed your vehicle was going. My Speedometer Said 70 – I Swear! The judge then convicts the defendant of speeding or reckless driving. You can certainly try to cast doubt upon the officer’s basic case. That’s the design of our criminal justice system. But to fight the exact speed the officer claims, you need more than your word that the speedometer read lower. You can try to prove a discrepancy with a speedometer calibration (here are some Fredericksburg calibration shops). If we have a notarized calibration certificate that shows your speedometer displays lower than your actual speed, many of the area judges will give us credit for that. The key is that we need proof. Think of it this way: Imagine a murder trial where the prosecution has put on a convincing case that the defendant did the crime. If you are sitting on the jury, aren’t you going to want more than the defendant saying “I didn’t do it”? I Was Using Cruise Control! No. Virginia requires that you are in control of your vehicle and you can be punished for whatever you do behind the wheel, however you’re controlling it. The simple fact that you had cruise control set when you are accused of reckless driving by speed in Virginia does not relieve you from responsibility for the offense. What many people claim when they have cruise control set is that the cruise was set at a level below than what the officer claims they were going. This may very well be true that you had your cruise set at a level less than the speed the officer claims you were doing. The problem is that there is no way to prove that you are actually only going that speed at the time when the officer clocked you with his radar laser device. What happens to some folks is that they’re driving along with cruise set on let’s say 69 on the interstate, which is a kind of reasonable speed. It’s still speeding, but it’s reasonable, and then you might press the accelerator to pass someone. While your cruise was actually set at something little more reasonable than reckless driving, you accelerated briefly a little bit over 80 to pass someone. That’s when the officer happen to clock you, and that’s the problem. That brief period of speed is enough for the officer to maintain a charge of reckless driving, if they can prove that their equipment was working properly and everything. This is why a cruise control is very smart to be using while you’re driving down the interstate, because it can help you maintain your speed and make sure you’re not going too fast. However, it’s really not a defense for a Virginia reckless driving by speed charge. 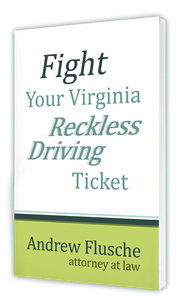 If you are charged with reckless driving by speed in Virginia, you should definitely contact me or request my free book, so we can begin exploring what actual defenses you may have. Oh so many things are wrong with that approach! First of all, telling the judge you’ve had past tickets before he’s entered a judgment could taint his view of your case. Judges are supposed to consider only the facts of the current case, but human nature could get in the way. If he hears that you’ve received prior speeding tickets, he might be more inclined to find you guilty in your new case. Normally, the judge won’t know about your prior driving record until after he’s found you guilty. Don’t let the cat out of the bag yourself! Second, the entire premise doesn’t make sense. Having a prior speeding ticket doesn’t mean you’re less likely to be speeding again. In fact, statistics would probably show the opposite. This type of argument is basically the same as simply saying “Judge, I wasn’t speeding.” That doesn’t work, and citing your past tickets as proof doesn’t work either. And for the record, the driver in this case was found guilty of speeding. 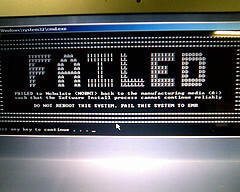 Lots of traffic defense myths circulate around the internet. One that was new to me is: can you ask the officer lots of questions in court to confuse them into you winning? Call or email me today to learn about what defense options that you do have available.